Designed by Anna Buechin, this multi opening frame is fresh and perfect for the home and office! The Minimix metallic resin frame holds 6 photographs or prints: one 1.5 X 1.5", one 2.5 X 3", one 2.5 X 4", one 3.5 X 3", one 2 X 2.5" and one 3.5 X 2.5". 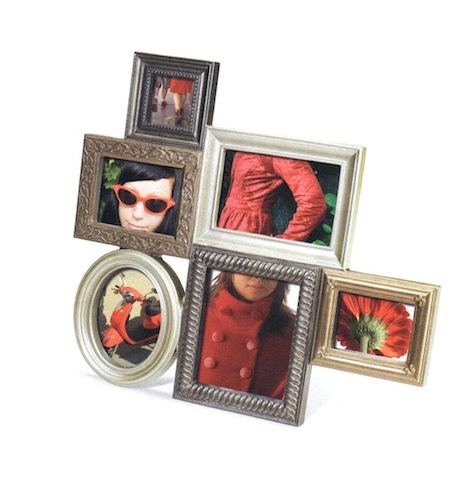 Assorted frame profiles. Includes glass covers. By Umbra.